Home Sport Esport & Others Bach open to esports in Olympics, but there is a rider! Bach open to esports in Olympics, but there is a rider! International Olympic Committee President is open to the idea of incorporating esports in Olympics. However, he is cautious about allowing ‘violent games’. Bach has once again offered his thoughts on the subject of esports appearing in the Olympics in an interview with South China Morning Post. The IOC president opined that there would be high interest for those who play simulations of football or other sports, especially if it results in them playing sports “in the real world”. But he also raised a serious concern. “We want to promote non-discrimination, non-violence, and peace among people. This doesn’t match with video games, which are about violence, explosions and killing. And there we have to draw a clear line,” esportsobserver has reported. The IOC president has earlier this year said that he was not impressed that “400,000 cars have been destroyed” in video games. Bach, a former gold-medal Olympian fencer, may not be the best informed about what games are considered esports. Although his latest comments certainly apply to Counter-Strike: Global Offensive or Quake Champions, it’s unclear whether fantasy violence in League of Legends or Overwatch would also be against “Olympic values”. Nevertheless, Bach raised a concern about the lack of an industry regulators for esports to monitor doping, rule breaking etc. Bach confirmed the matter of including esports for the 2024 Paris Games has been discussed. But he further emphasized that it will take some time as the industry is at a nascent stage of development. Co-president for the Paris Olympic Bid Committee Tony Estanguet has said earlier that he was open to include esports in the Paris Games. 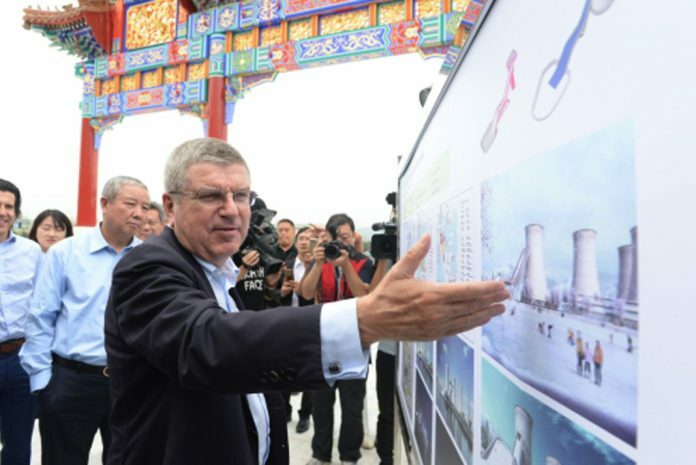 The IOC was in Hangzhou for a meeting with the Alibaba Group representatives. The Chinese e-commerce giant has inked a $1 billion sponsorship deal with the IOC for the Summer and Winter Games. Alibaba’s sporting subsidiary AliSports has also committed to have esports as a medal discipline at the 2022 Asian Games – the second biggest Olympic sanctioned competition.